Leneghan said the number is an estimate based on Delaware County’s proposal to take over the township’s EMS by replacing Liberty Township’s cross-trained firefighters/paramedics with the county’s paramedics. Coolidge compared the township’s average EMS response times to the national average and others within the county. He told her that the township’s EMS response time was the lowest of all. He asked her how she expected to improve a response time that was already that low. In a Nov. 19 Delaware County Board of Commissioners session, Commissioner Gary Merrell, a Liberty Township resident living in the Dornach subdivision, made the comment, “The current system is not working or as well as it could or should.” He explained his comment by recalling a time when EMS was dispatched to his home at 4 a.m. Since Merrell’s comment, Leneghan has used his story as an example in defending her statement of the township’s EMS being broken. Leneghan told Coolidge the reason for not sending the closest EMS is because the county’s 911 center run cards were not set up to send the closest. “Is this more of an adjustment with the 911 operator than disrupting our EMS service?” Coolidge asked. According to a handout Eichhorn distributed to those in attendance Monday, data shows that Delaware County EMS is not the township’s primary mutual aid partner for EMS calls. The other partners mentioned in Eichhorn’s analysis include the townships of Concord, Orange and Washington, as well as the cities of Delaware and Columbus. Leneghan again emphasized that the closest vehicle has not always been sent, and she told residents that The Ohio State University Wexner Medical Center team of medical directors are now involved with the 911 center. Brandt confirmed Leneghan’s claim of the 911 center working with the OSU medical directorship. “We’ve had a medical director for many years,” he said. Trustee Michael Gemperline said that the EMS chiefs from Liberty Township, the city of Delaware, and Delaware County have met to discuss the matter at hand, and they have asked the residents to be patient. 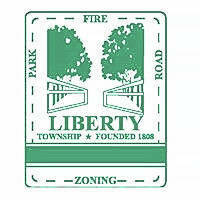 He noted Liberty Township Fire Chief Tom O’Brien will be giving a presentation on what the chiefs have discussed thus far during the next trustees meeting on Tuesday, Feb. 19. Gemperline then asked if there had been a change proposed by any of the three trustees to which the residents quickly pointed out the recent change in the medical director from 28-year veteran Dr. Warren Yamarick to the OSU medical directorship. Leneghan also proposed that the current funding model for the township’s EMS is not sustainable through property taxes. Leneghan added that based on the fact the county has a revenue stream that the township doesn’t, the township needs to partner with the county. Eichhorn disagreed, stating her research shows the current EMS model is sustainable through property taxes. “The document was never adopted as the final (draft), and it talks about the things (the county) needs to fix first,” she said. Fitch and Associates of Platte City, Missouri, is a study and a corresponding master draft plan commissioned in 2018 by the Delaware County Board of Commissioners. This entry was tagged cross trained fire, D. Anthony Botkin, Fire, Liberty Township, Melanie Leneghan, Michael Gemperline, Shyra Eichhorn. Bookmark the permalink.